Here is Some Information about Vibhash Temple(Shakti Pith)in Tamluk West Bengal India. The Vibhash Shakti Pith Temple is located in Tamluk Village under district Purba Medinipur, West Bengal.The temple is dedicated to Goddesh Kapalini.Vibhasha Shakti Peeth is among the 51 Shakti Peeth of Maa Sati. It is said that, the left ankle Maa Sati fell here, when lord Vishnu in order to relieve lord Shiva from grief of losing his wife Sati, used his ‘Sudarshan Chakra’ to incise maa Sati Body. Then, at the place of fall of left ankle, this temple was constructed. Vibhasha Shakti Peeth is situated in Tamluk Village under district Purba Medinipur, West Bengal, India. 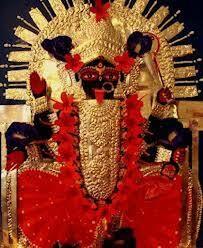 Here the idol of maa Sati is called as ‘Kali Maa’ and the lord Shiva is worshipped as ‘Sarvananda’. 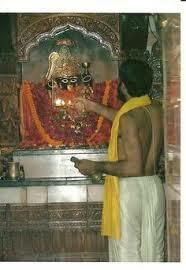 In the Sanctorum of the temple, there is a large ‘Shiv Ling’ and it is made of black stone. Priest and pilgrims worship here and Ygya are also carried from time to time. All around the ‘Shiv Ling’ is the White marble boundary. History of Vibhash Shakti Pith dates back in the time when it is said that the left ankle of Maa Sati fell to this place. Best information about the origin and the formation of this temple, people can be taken from with local people. Religious books, Purans etc are worth trying to find out the history about the Shakti Peeth. Makar Sankranti, Sharad Purnima, Deepawali, Somvati Amavasya, Ram Navami,Navratri. By Road : There are public and private vehecals available to reach Vibhash Shakti Pith Temple . By Rail : The Nearest Railway Station Kolkata Railway station. By Air : The Nearest Air Port Kolkata Airport.